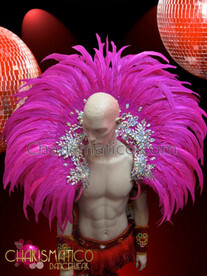 Cabaret dancer or performers are often seen wearing statement clothes to look presentable and beautiful. 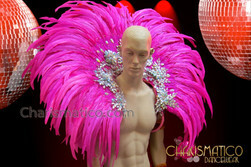 They wear stunning accessories to compliment the dress. 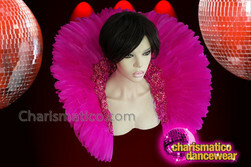 This fuchsia feather backpack is simple yet fashionable. 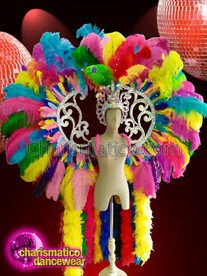 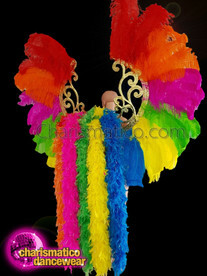 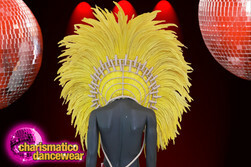 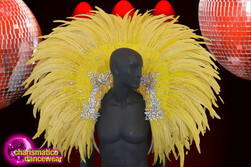 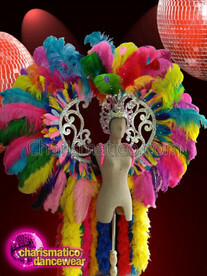 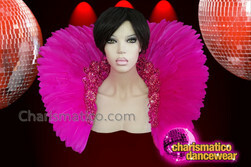 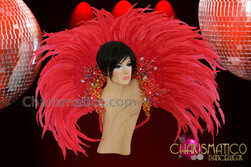 With the vibrant colors of the feather the backpack makes it a wonderful piece to wear for cabaret dancer and showgirl.